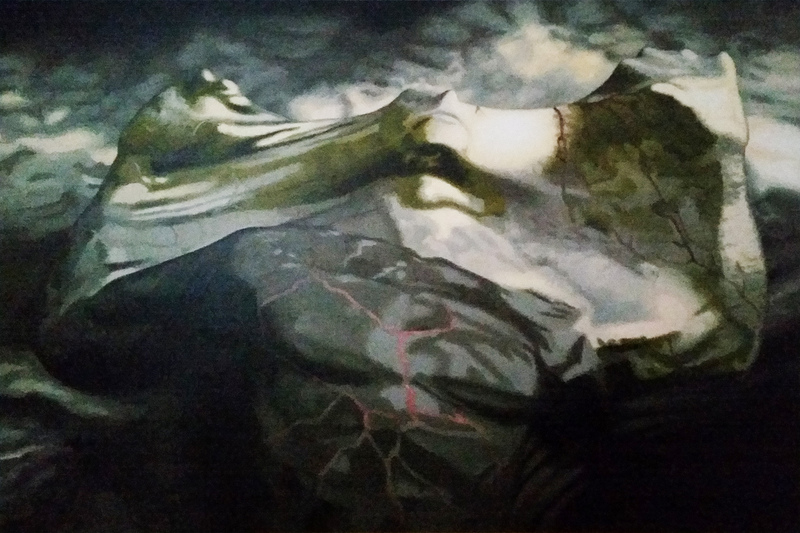 Cocoon was originally created as digital image in 2003, with a lasting desire to turn it into an oil painting. At the age of 23, I was going through emotional crisis, choosing a path for me in life. My home town of Belgrade didn’t provide opportunities that I wanted, and going abroad seemed like an unachievable dream. I wasn’t sure I had enough talent to offer for international professional level. Feeling depressed, an image appeared in my head and I shut myself off in my room for three weeks to create it digitally on computer. For a long while I was afraid to show it to anybody, thinking people would say I went crazy. When I finally posted it on an online digital art forum, a French art magazine called, asking for my permission to publish it. At that point the future became bright, and I realized art is my life. I would love to go back in time and tell myself that everything will be ok if I work hard and believe in myself. But as I can’t, today I don’t paint for myself. Today I paint for others, so I can pass that message to them.